Metallic suede upper with leather sole. Made in Spain. 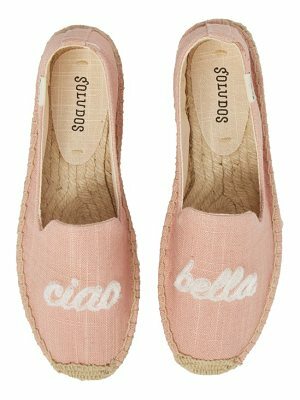 Approx 10mm/ 0.5 inch espadrille platform. Rubber heel. Lace up front. Crochet knit detail on front.